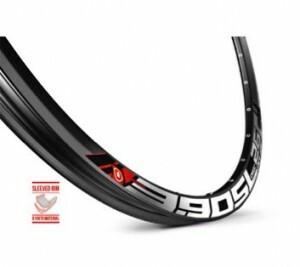 Asymmetric carbon mountainbike rims build up into stiffer, stronger and more reliable wheels by improving the bracing angles of a dished wheel and equalizing the spoke tension between the drive and non-drive side spokes. 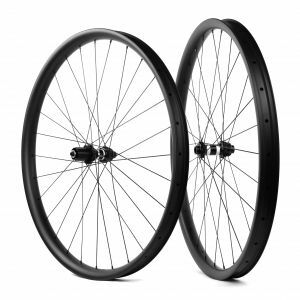 On a mountain bike wheelset with disc brakes, both the front and rear wheels have significant dish. 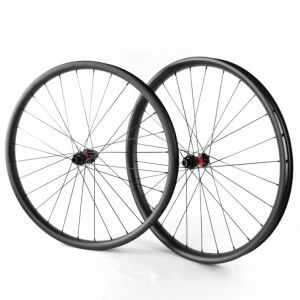 With traditional rims, the rim is centered (or dished) by decreasing spoke tension on one side relative to the other so that the rim is pulled into center.